Welcome the first Joy of Cats Giveaway! Since children are returning to school this time of year in the United States, I decided to give away two cat books! One lucky winner will receive a hardcover edition of both books. These books are for people that love beautiful photos of cats! Note: All links below to Amazon are affiliate links. If you click the link and then make a purchase, I will receive a small commission (at no extra cost to you). Every cat has a story! That's one reason why I love Shop Cats of New York. The book is written by Tamar Arslanian of the I Have Cat blog. Tamar tells the story of each featured cat. The cats are living in stores or other places in New York City. The photographs were taken by Andrew Marttila. The photos are amazing and capture of the lives of these cats. 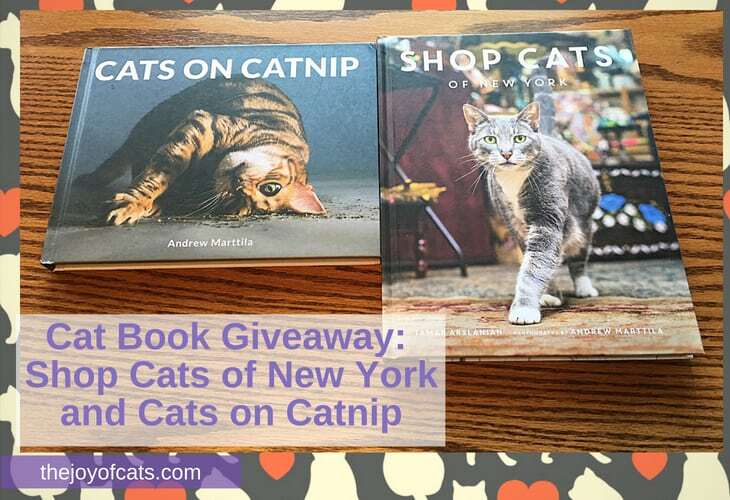 Cats on Catnip is a book cat pictures by Andrew Marttila. Andrew rescues kittens with Kitten Lady (Hannah Shaw). There are not any written stories in this book. The book is filled with pages of cats photographed with catnip, as the title implies. Flipping through the incredible photos is a joy! Enter your email address in the email box above for a chance to win! After confirming your email, you will be presented with more ways to enter. Entering the giveaway will also subscribe you to The Caturday Newsletter, which sent out every Saturday morning via email. It's free and you can unsubscribe at anytime. The value was determined by the list price on Amazon. I will ship the winner both books via Amazon. My cat died almost a year ago. I would love another but apartment managers wouldn’t and I’m apartment hunting. I am sorry for the loss of your cat. 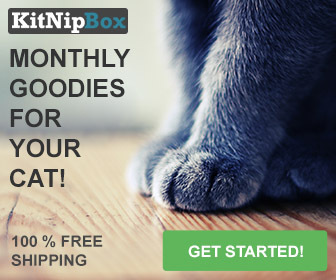 I hope you find a cat-friendly apartment soon! I have 2 BEAUTIFUL rescues and we would love to win. Thank you for the opportunity!